Going to the Smokies. 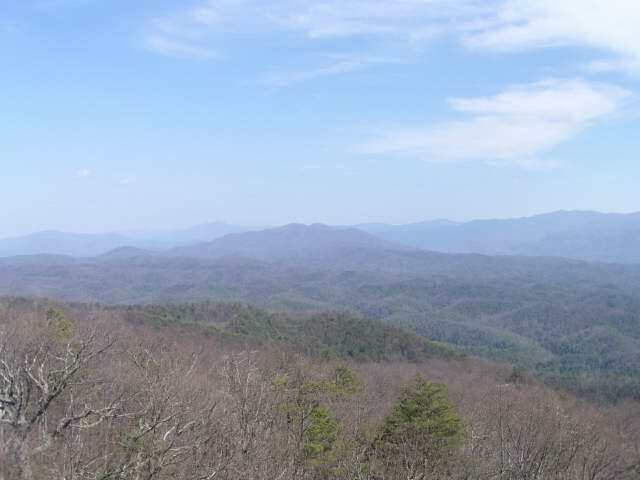 It has been so long since I have been in the Smokies, and I cannot wait. I stayed up late last night working on a project and was surprised when I woke up at 5:20 for my devotional (after only about 4 hours of sleep). As I slid the Bible open, it fell to Psalms 112. Songs of praise flowed for the next chapters. It would only be fitting to offer a praise hymn then as the Friday tune. This has been a great week for me personally. For many around me though, this has been a tough week, and I offer prayers that you have found joy in the passing of this week, and that you have reason for praise. Spent this morning watching Thomas sing in the play at school. Thomas “introduced” Ed Sullivan, who introduced the Beatles. What a blast the kids had in pretending to be everyone from Elvis (Thank Ya, uh Thank ya very much) to the Supremes, with James Brown thrown in for good measure. Whether your taste runs from DC Talk, to 4 Him, to Sandi Patti, to The Gaithers, this weeks Friday tune is one that you enjoy. And after watching his angels sing, what more is there to say; God, How Great Thou Art. Sorry Guys. I should not have written about the Vols yesterday. Went and Jinxed them. Oh well. What a great season though. I can remember a few years ago Kentucky coming into Knoxville and just flat out whipping them, so this is progress. I had a great boss one time who was a great servant leader. He was always encouraging progress. He wanted the company going forward, yet he knew that we would sometimes hit failures. How you respond to those failures was the difference in whether you would be ultimately successful. By recognizing progress, and dedicating ourselves to hitting the target next time, we spent less time thinking about the failure. When it comes to college sports, I bleed Orange, and this years incarnation of the mens basketball program has brought pride to a program which was temporarily humbled in football. Bruce Pearl has brought an enthusiasm that is contagious to the campus. From exhorting students in the cafeteria, to bringing his team into the stands on a road trip to thank the fans who came, Pearl is proving to be a fantastic coaching addition on the hill. At the Orange and White game last spring, he made a point to come over and introduce himself to Thomas and Elisabeth. We had heard about him before this time, and I really didn’t know what to think. For so long, Tennessee mens basketball fans have had little to cheer about. When Thomas and I went for our annual Father/Son football game, Bruce was dancing the jitterbug on the sidelines at halftime with the Pride of the Southland Marching band. Hopefully I have not jinxed the team as they take on Kentucky tonight in Knoxville. They have the opportunity to sweep the Cats this year, which would be tremendous. Regardless, Bruce Pearl with the extremely Orange Sports Coats, and Sweaty Suits has brought pride and enthusiasm and has been a blast to watch. GO VOLS!